Kells and Connor Women’s Institute have raised funds for two causes by holding an Afternoon Tea. 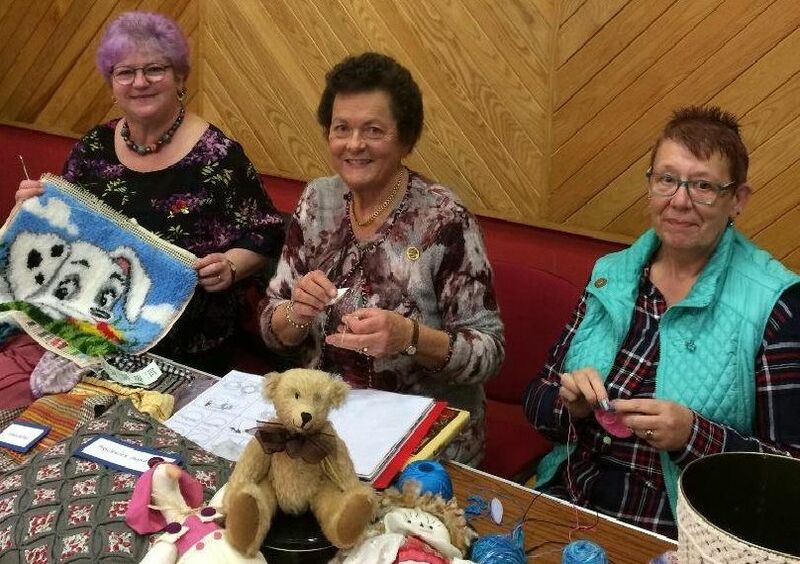 Kells Community Centre was packed with friends, family, villagers and members from other WIs who enjoyed tea, scones, sandwiches, traybakes and cream cakes served ladies from the Kells and Connor Institute who also had their various handmade crafts on display. Craft ladies Mary Crothers, Maura Ellis and Gwen Henson pictured with some of the craftwork on display at the WI Afternoon Tea in Kells. Having a chat and a cuppa at the Afternoon Tea event in Kells are Martha Francey with friends Karen and Margaret. Anna Murphy and Kathleen Johnston enjoy a cuppa at the Kells and Connor WI fundraising Afternoon Tea. Sophie McAllister face painting at the Kells and Connor WI Afternoon Tea.